it's the Walk of Kings! 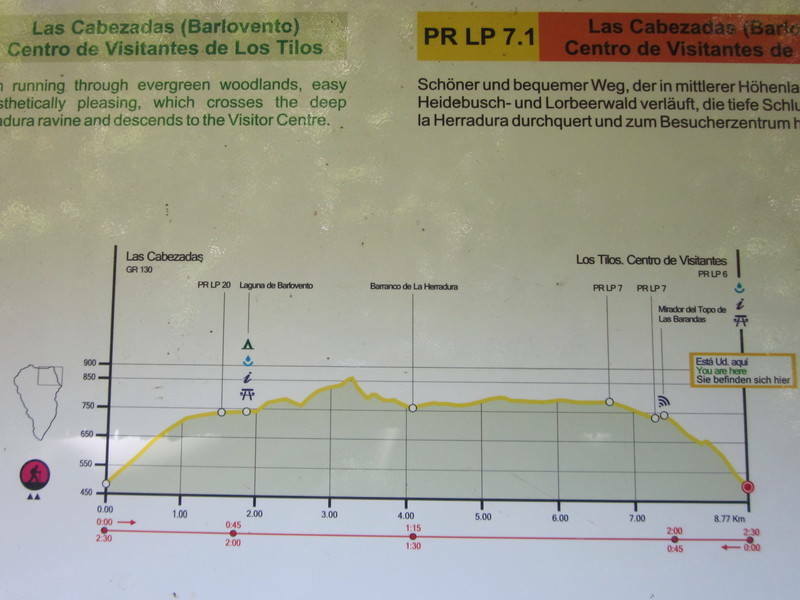 Starting in the north east of La Palma and finishing in the mid-west of the island, our walking holiday will take you through the laurisilva forest of Los Tilos and along the the ancient route of El Camino Real. With four or five different lodgings along the way, your luggage is transported so that you can enjoy the freedom of trail. 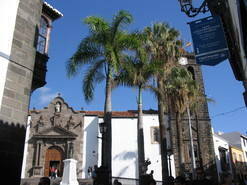 Arrival at Santa Cruz de la Palma Airport (SPC) and travel to your accommodation. The rest of the day/evening is yours to explore the beautiful and historic capital city of Santa Cruz de La Palma, to spend time sauntering along the cobbled streets, admiring the mansions with wooden balconies and enjoying a drink at one of the plaza cafes. Or you might wish to swim and laze on the beach of Santa Cruz or at the nearby resort of Los Cancajos. Now the walking begins. Your taxi will collect you from the accommodation and take you to Los Tilos from where the route takes you through the UNESCO laurel forest. The first part of the walk is through a sub-tropical rain forest with its magnificent laurels and giant ferns - it is an experience in itself! Climbing on the path above of the forest, you reach impressive views over Barlovento – your eventual destination where your accommodation for the night is at a small country hotel. Your walk begins directly from the hotel, shortly joining El Camino Real. 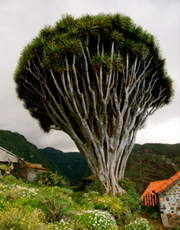 The first hamlet of La Tosca with its large group of ancient dragon trees - one of the best representations on La Palma - is quickly reached. Now on the coastal path with impressive cliff-top views all the way, the path traverses a ravine before passing through a small valley with a colony of caves, three storeys high. The lively village of Gallegos is reached with its little houses jammed in against the narrow street from where the path heads towards the sea and a Mexican ravine with cowboy cactus. The final part of your walk takes you into the French Quarter of the island and through a magical dell with natural springs, caves and wooden-roofed dwellings. 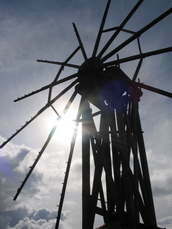 Returning by taxi to your start point in Santo Domingo, the walk continues along El Camino Real, passing the old village laundry with its stone basins and further along an original windmill. Now walking along undulating country paths with old stone houses seemingly appearing from nowhere, you arrive in the village of Las Tricias. Here the cobbled path leads you right past the doors of old houses in this beautiful area which benefits from a favourable micro-climate. 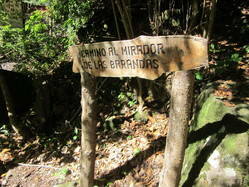 Palm trees give way to pine trees and after a rocky barranco is traversed, the area of Puntagorda is reached. A forest track of red dust is followed before the route wends its way through the small town and to the next accommodation, a stylish bed and breakfast with all amenities close by. there are impressive views from the elevated path from where the pine-covered ridges of the Caldera feel like a moment away. 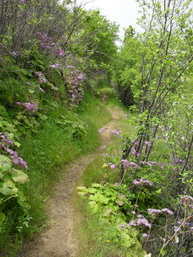 A gently sloping path goes down into the lovely ravine where the rocky bed is followed before ascending along a pretty path, lined with wild flowers from early in the year until late summer. On arrival in Tijarafe, a bus is taken to the final accommodation which is in Los Llanos de Aridane, the 'secret' capital of La Palma. Returning by bus to Tijarafe, the route passes by a cluster of decorated crosses before going into a shallow, pine needle covered barranco. 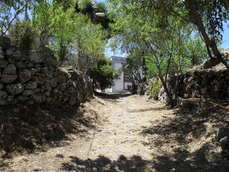 The path ascends along a zigzag route and reaches a rustic bbq area before rising above the road along a country path. Now deep in the country, old stone houses are passed right by their front door and further along walkers can enjoy a commanding view over the west coast and the sea of banana plantations below. From here, the route leads the way through quaint side streets of Los Llanos until reaching your accommodation and the leafy Plaza de España. From your accommodation, the taxi will take you and your luggage directly to the airport at a time to co-incide with your flight. 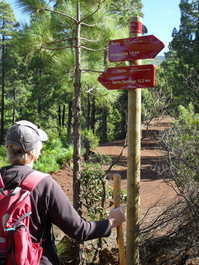 Interested in other Hiking Holidays on La Palma? We offer bespoke walking holidays tailored to suit. Extended Holiday on La Palma! Why not stay a little longer - maybe extend your time walking the route, taking it more slowly or add a rest day along the way. 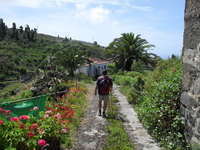 Or how about a second week, staying in one of our rural houses or apartment by the sea. 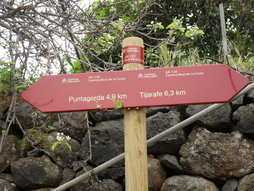 That way, you have the option of further walks on La Palma such as the Volcano Route, Roque de Muchachos or the Caldera de Taburiente.